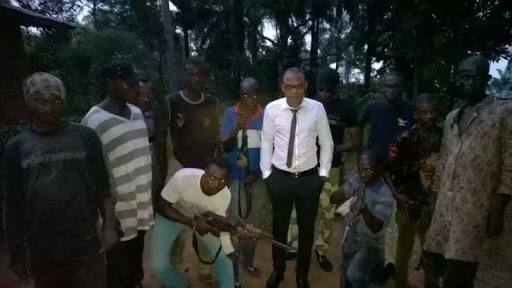 Nnamdi Kanu, leader of the Indigenous people Of Biafra (IPOB) has said that they are not afraid of war. Speaking through IPOB Directorate of state, Kanu lashed out at Governor Rochas Okorocha of Imo for preaching in support of One Nigeria. Kanu said: “We ask for a referendum to go our separate way, but you, Okorocha and your Hausa Fulani brothers are conversing for war. If it comes to that, Biafrans shall defend themselves, we have done it before and we shall gladly and happily do it again.